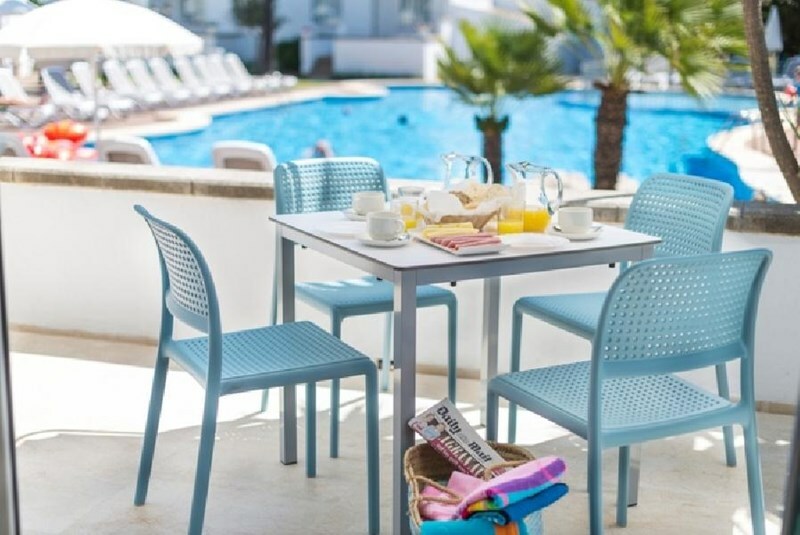 General Description: Welcome to Solecito Apartments in Alcudia. The closest cities to the hotel are Inca (24 km) and Alcudia (4 km). To make your stay more comfortable a lounge and a reception are available. The staff in this 2 storey hotel speaks English and Spanish. Mobility on holiday is simplified through car rental. A playground for children is available. A fresh water swimming pool with an integrated children's pool is available. A poolside bar is on site at the hotel where guests can unwind with a drink. Sunshades and sunbeds are available free of charge at the pool. Distance from the hotel to: disco (800 m), airport PMI (55 km), Alcudia (4 km), horse riding (600 m) and Hidropark (400 m). The hotel is within easy reach of bars and restaurants, city centre, tourist information, supermarkets, bus stops, medical services and shops. For your entertainment the hotel features a TV lounge.